The HTC Evo 4G LTE Android smartphone is being treated like an expatriate fugitive, held at the U.S. border by officials while they investigate whether HTC complied with a court order from December. A note from Best Buy to customers who pre-ordered the HTC Evo 4G LTE reportedly confirmed that they won't be getting the phone any time soon. HTC lost a patent dispute with Apple last year, and in December the International Trade Commission issued a limited exclusion order against HTC and two of its subsidiaries. The company was ordered to alter minor functionality in some of its phones, including the Evo 4G LTE and One X, by April 19 of this year. HTC was presumed to have complied, but earlier this week the HTC Evo 4G LTE and HTC One X were delayed indefinitely at U.S. Customs. 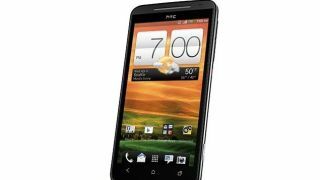 The HTC Evo 4G LTE was slated to be released this week, but Best Buy previously moved the date up to next week. Now the retailer announced to pre-order customers that Nokia has officially notified them of delayed, confirming the news from earlier this week. "The U.S. availability of the HTC One X and HTC Evo 4G LTE has been delayed due to a standard U.S. Customs review of shipments that is required after an ITC exclusion order," HTC said in a previous statement. "We believe we are in compliance with the ruling and HTC is working closely with Customs to secure approval. The HTC One X and HTC Evo 4G LTE have been received enthusiastically by customers and we appreciate their patience as we work to get these products into their hands as soon as possible." The patent in question has to do with the way the phone interprets phone numbers and email address within emails, websites and other text, allowing users to simply tap them to dial the number or send an email to the address. The functionality in HTC's phones was deemed to be infringing on Apple's patent, and HTC was ordered to alter it. Hopefully HTC's claims of compliance are accurate, as further delays due to this patent dispute could potentially cause a major chilling effect for Android.